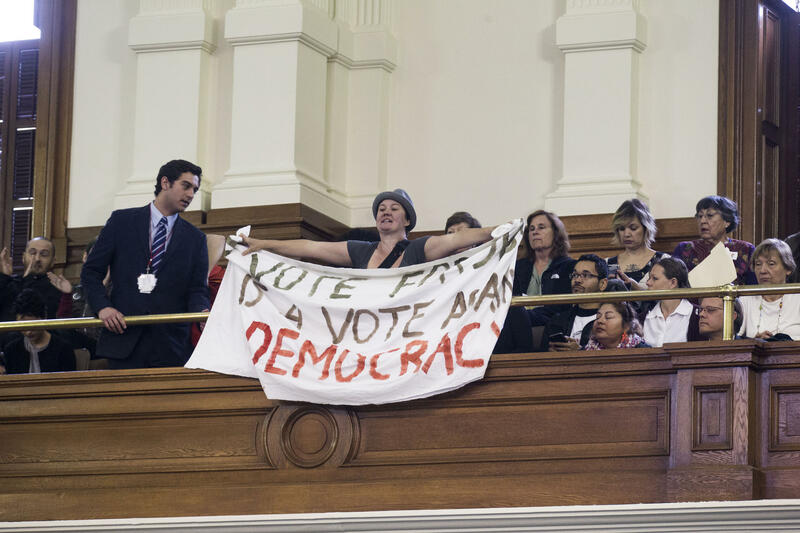 Opponents of Senate Bill 4, which would penalize so-called "sanctuary cities," disrupted the bill's first public hearing. 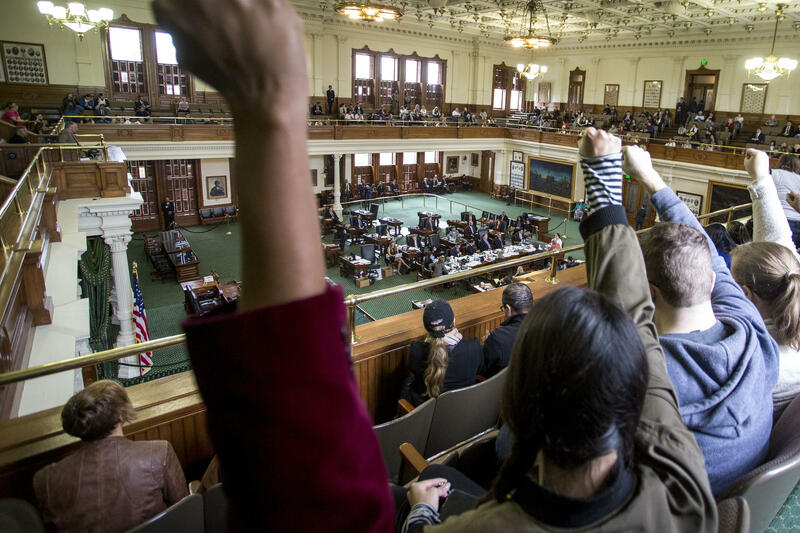 Texas lawmakers heard hours of public testimony Thursday and into early Friday morning over a bill banning so-called “sanctuary cities” in Texas, ultimately voting early this morning 7-2 along party lines to send the bill to the full Senate. Hundreds came to the Capitol to speak on Senate Bill 4, which would financially penalize any local jurisdiction that doesn’t cooperate with warrantless requests from U.S. Immigration and Customs Enforcement (ICE) to detain undocumented immigrants. Nearly 500 people signed up to testify about the bill over the 16-hour stretch. Austinite Ann Glenn was one of them. “It’s extremely upsetting for the governor – who is all about local control – trying to make local entities, local governments, do the work of the federal government," she said. 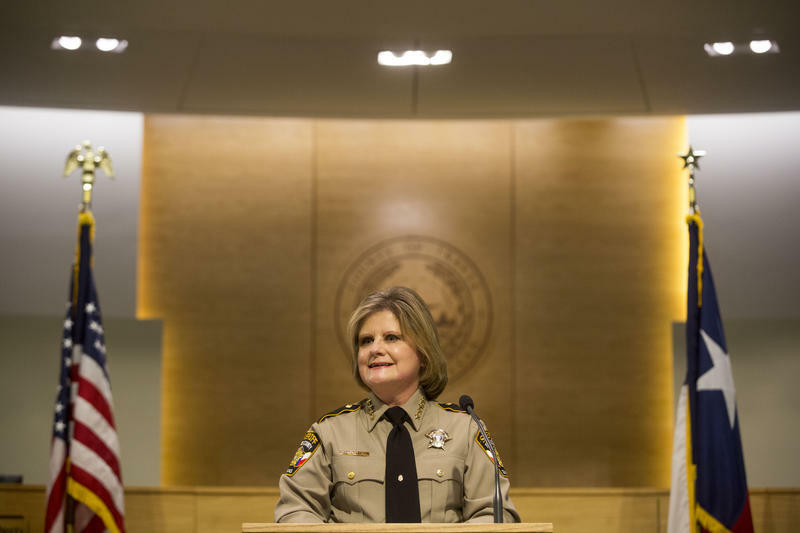 Travis County Sheriff Sally Hernandez adopted a similar policy this week, a move that prompted Gov. Greg Abbott to cut $1.5 million in grants to the county. Abbott singled out Hernandez in the weeks ahead of the rollout and even made a legislative ban on the policy one of his emergency items for the legislative session. Sen. Charles Perry (R-Lubbock), the author of Senate Bill 4, speaks during the Senate Committee on State Affairs' first hearing on the bill. In the two days after the policy went into effect, the county declined almost 200 requests from federal immigration authorities to hold possibly undocumented immigrants. 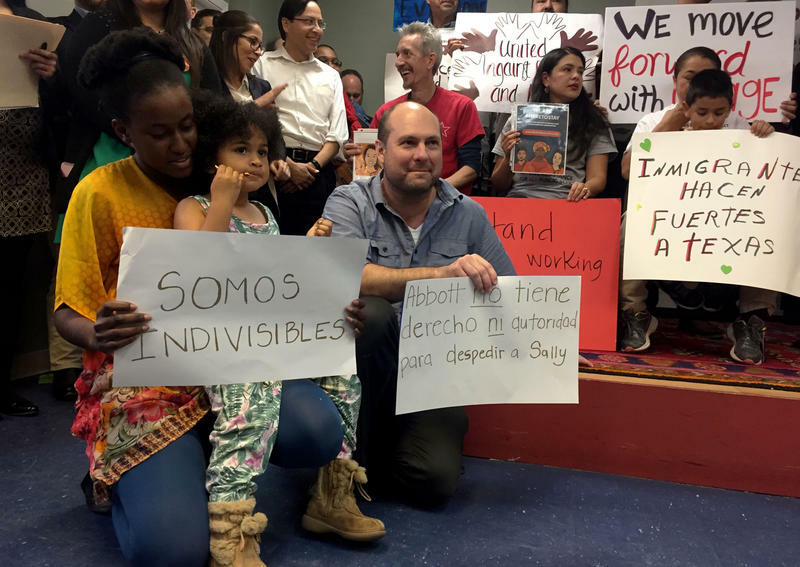 Bob Libal, executive director of Grassroots Leadership, which opposes for-profit private prison and detention centers, celebrated the county’s actions. “We have been really heartened by the strength that Sheriff Hernandez and our other elected officials have shown, especially in the face of the bullying that’s coming from the governor’s office and the threats coming from the president,” he said. 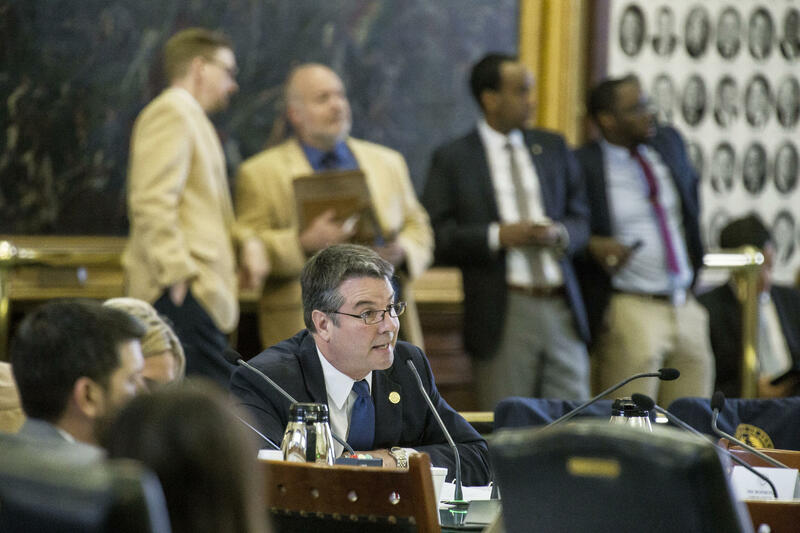 Sen. Charles Perry (R-Lubbock), who authored the bill, and Sen. Sylvia Garcia (D-Houston), sparred Thursday over the legality of local law enforcement not honoring all ICE detainers. According to several immigration lawyers, ICE detainers are warrantless so local law enforcement agencies handle them as requests to detain. Several courts have upheld this view of the law. But Perry contended that local law enforcement officials that don’t, at the very least, communicate with ICE are in violation of federal law. A protester who interrupted the hearing was later escorted from the Senate gallery. “Once you break down that trust I just don’t think the community will see it the same,” he said. “And they will see that their local police departments are involved in immigration enforcement." On Friday, state Rep. Eddie Rodriguez (D-Austin) announced an initiative called Travis County #Stronger Together, a partnership with the Austin Community Foundation to raise money for the programs affected by the funding cuts. The governor made a sanctuary city bill an emergency item, expediting the process it takes to become the law. The bill will now go to the full Senate for a vote. 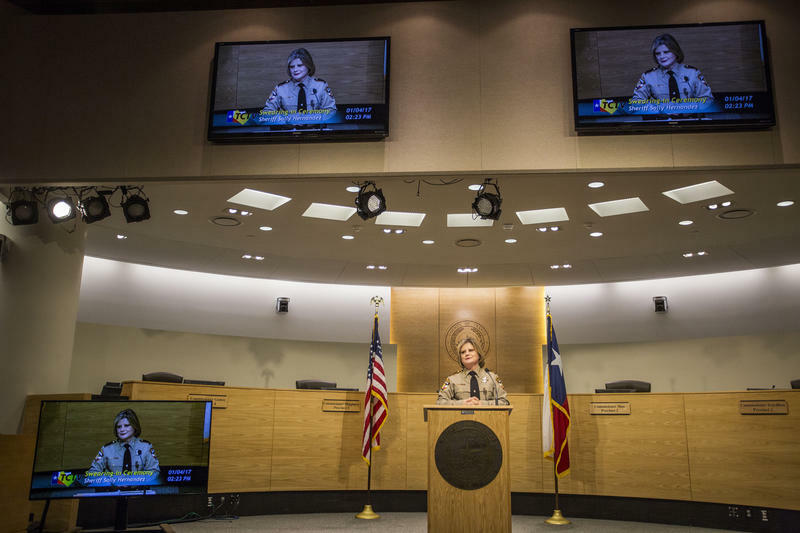 The Travis County sheriff’s new immigration policy goes into effect today. The policy limits what information local law enforcement share with the federal immigration agency, and it's already stirred up a lot of controversy. This morning, Gov. Greg Abbott came through on a pledge to cancel $1.5 million in criminal justice grants from his office to Travis County over the policy. The governor’s office has asked state agencies to send a list of funds, including federal money, directed to Travis County last year. In a letter sent Thursday, Budget Director Steven Albright said the list “should be complete with the amount of funds and the purpose of the agreement” and be submitted by Feb. 3. The 10th Amendment, the Tea Party and sanctuary cities are three things that one wouldn’t imagine having much in common. But they do – perhaps now more than ever. 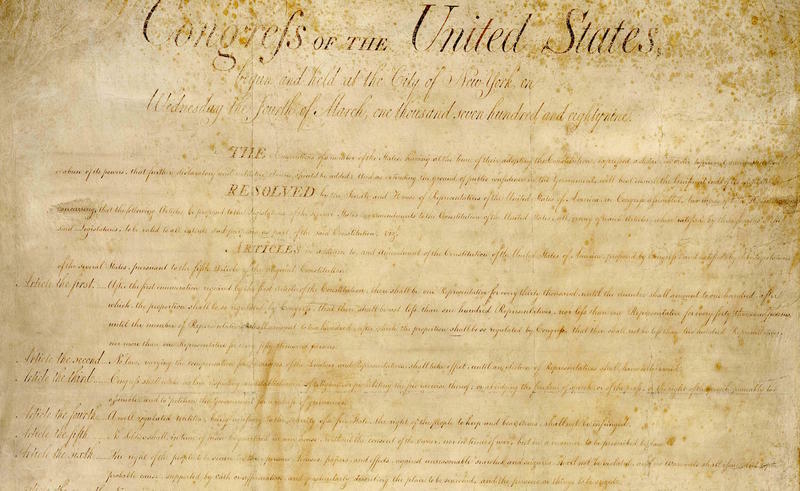 A few years ago conservatives pointed to the 10th Amendment, which safeguards states’ rights, as a bulwark against orders from the Obama administration. In response to vows from the state and federal government to knock out so-called “sanctuary cities," roughly 30 people crowded around a rickety podium Wednesday to announce their support of Travis County Sheriff Sally Hernandez’s immigration policy.